My heart is holey today. I wish I could say it is holy. The death of my mom is feeling large today. Tears sit at the edge of my eyes. I want to speak to my mom. I feel an incredible sadness of her not ‘being’ in my everyday life. It’s a deep purple heartfelt loss. 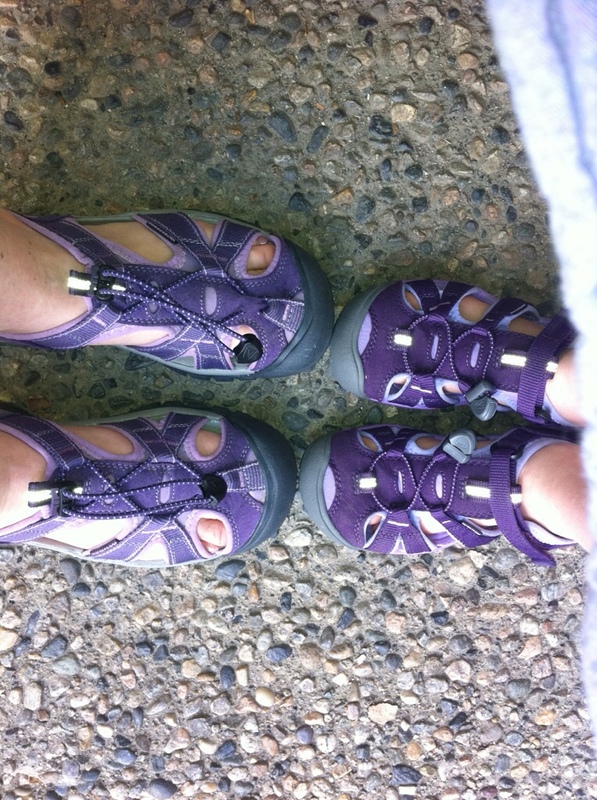 A friend and her daughter excitedly point at my shoes. 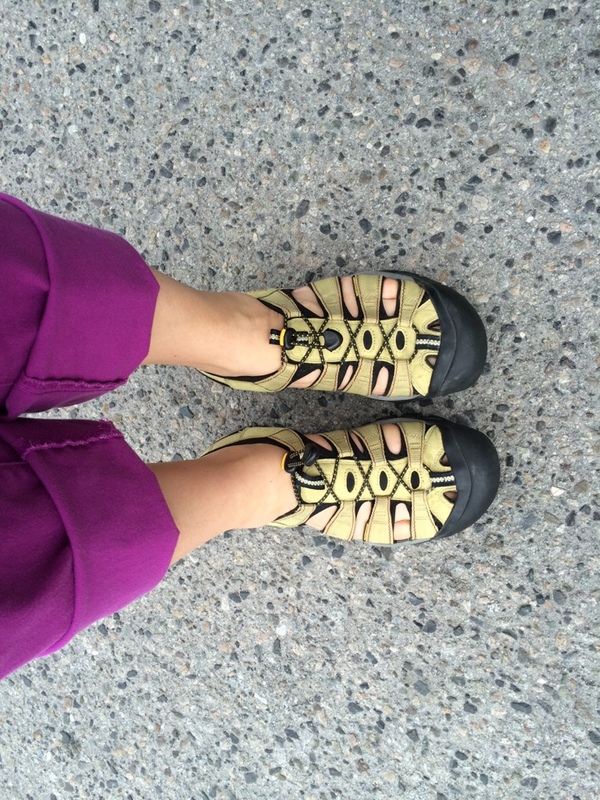 Tomorrow, I won’t be wearing my purple Keen’s alone. My heart aches a little less. The hole in my heart feels smaller. 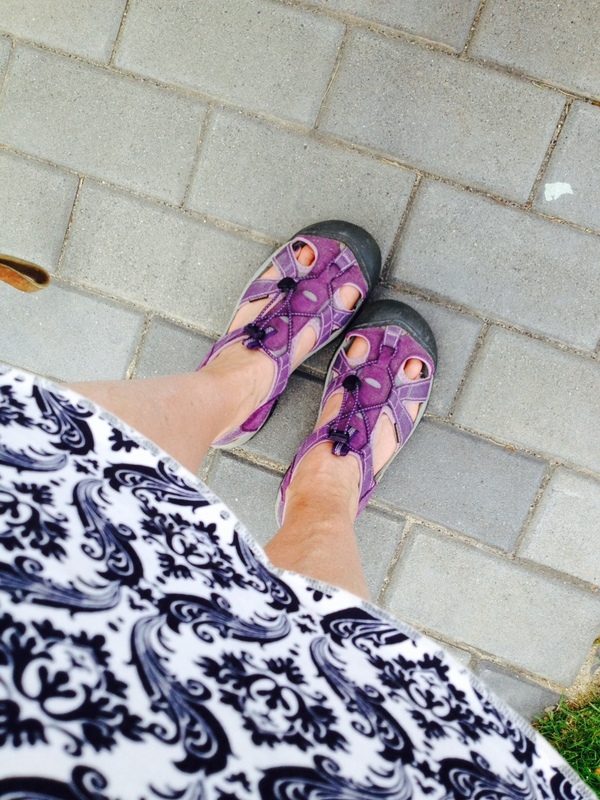 I sense God’s holy presence through the coincidence of purple shoes. Thank you A, M and Sweet C!! Beautiful. Ahhhh, a jacket would be lovely to slip on with memories and feelings surrounding you. This is a incredibly beautiful picture imaging you with your strong, kind father’s jacket on. Thank you for sharing. Very sweet and I know how you feel. I pray for comfort for you. Thanks for sharing it. Lovely post. I’ll bet your mom is dancing in the best shoes ever now! Lovely comment as well. I hasn’t visualized my mom dancing in heaven with her favourite shoes on, but this is an image I will now treasure. Thank you!